Need a hand? Use Expand! 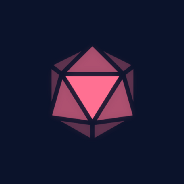 Ensuring that innovative decentralized applications are built on top of the Gems Protocol is one of the core missions of Gems. Gems, unlike current centralized platforms, only sees benefit in having a fully open source project. Gems: Where Should We Donate $100k Worth of Micro Tasks? Join the conversation on Telegram or Twitter — all ❤ and 💡’s help. Gems: What are Micro Tasks and why are they Important?